Diaper rash is a painful condition for your baby and can cause fussiness and discomfort. MedlinePlus.com reports that it is common for your baby to develop a diaper rash if she is not kept clean and dry. As you begin to introduce solid foods to your baby, some of the new foods may cause your baby to develop a diaper rash as well. New foods can cause your baby's stool to change, which can lead to a rash. Knowing the most common food causes will help you modify your little one's diet. 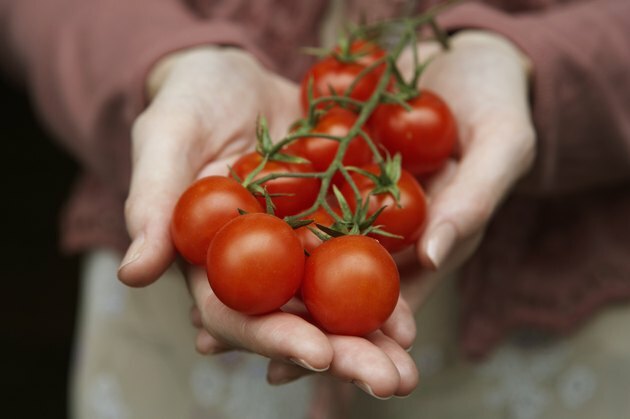 Tomatoes are considered an acidic food, which increases the likelihood that your baby will develop a diaper rash. If you are still nursing, your consumption of tomatoes and tomato-based products, such as pasta sauce or tomato soup, may cause your baby to break out in a diaper rash, AskDrSears.com notes. If your baby is eating solid foods, he may develop a diaper rash if he eats a large amount of tomatoes or tomato-based foods. If you notice a diaper rash, eliminate tomato products, including ketchup, from his diet to see if the rash heals and does not return. Oranges are another acidic food that may cause your baby to develop a painful diaper rash. 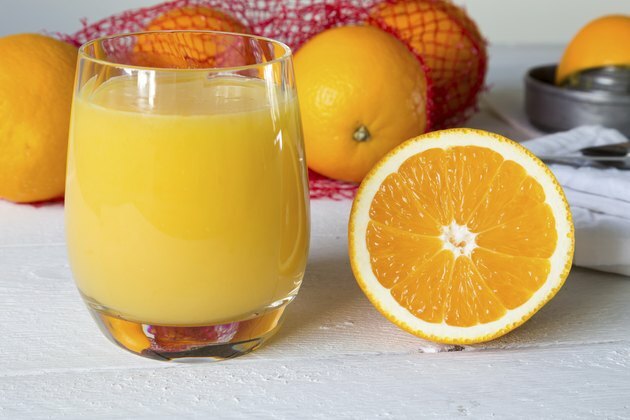 If your baby drinks orange juice, pureed baby foods with oranges, or chopped orange segments, these foods may be the cause of her diaper rash, Wayne B. Jonas and Jennifer Jacobs note in their book, "Healing with Homeopathy: The Complete Guide." Eliminating orange juice and foods with oranges can help your baby's stool return to normal so her rash can begin to heal. You may need to restrict your baby's intake of oranges and other citrus fruits, such as grapefruits, lemons and limes, to prevent a repeat diaper rash, Jonas and Jacobs add. 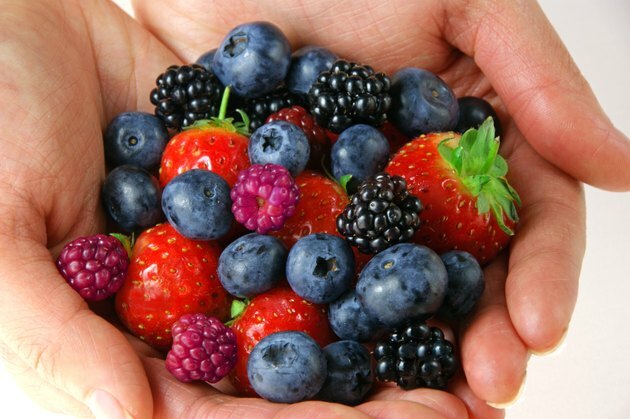 Strawberries, raspberries, blueberries and blackberries are acidic foods that can lead to a diaper rash. The acid in these foods changes the composition of your baby's stool so that when he eliminates the stool causes his bottom to break out in a rash. Berries often cause a diaper rash when they are first introduced into your baby's diet, but can cause a rash even if your baby has eaten them several times. Make sure to change your baby's diaper as soon as he soils it to reduce the chances that he will develop a rash. Restricting his intake of berries may also help. The University of California at San Francisco's Benioff Children's Hospital reports that berries should not be introduced into your baby's diet until at least 9 months of age. When Is it Safe for a Baby to Eat Blueberries?